Thanks for another helpful suggestion. 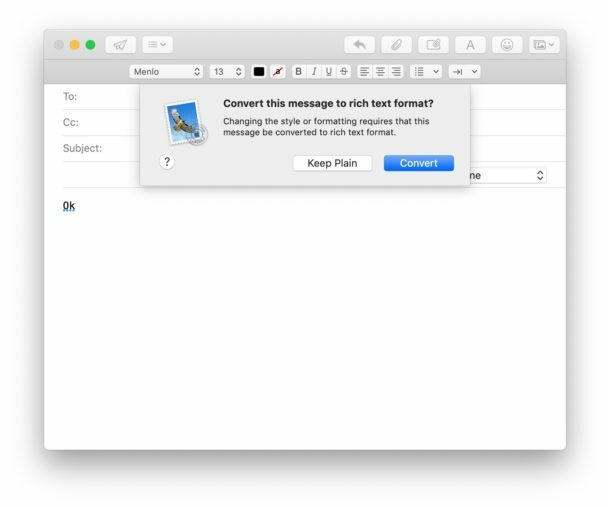 It should be visible by default in the Mail app, unless the toolbar is not visible or the toolbar was customized. 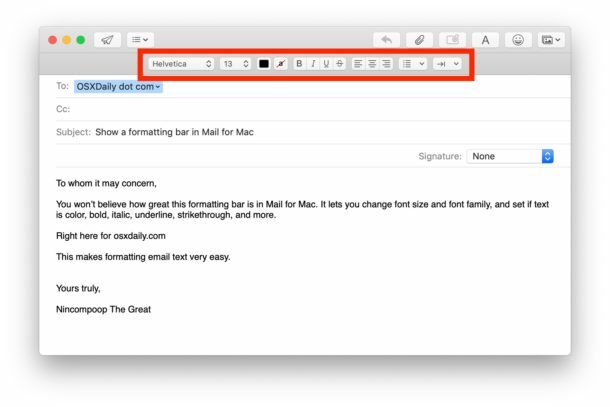 Generally to find the Format button in Mail app, you must open a new email composition window, whether that’s to write a new email, reply to an email, or forward an email. 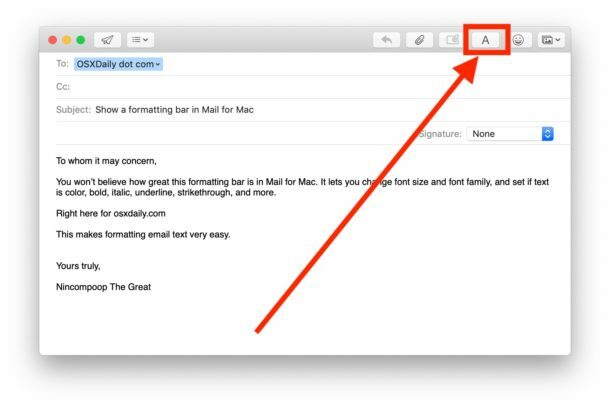 If the Toolbar is already visible, you might need to choose “View” menu and “Customize Toolbar” to add the “A” format button to the Mail Toolbar that way. I appreciate your E News SO much! 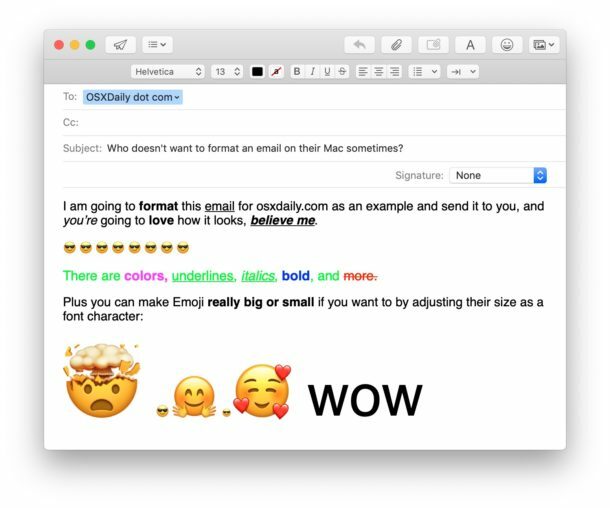 I would love to know how I can add my logo jpg in my Mac Mail signature? Any way you can direct me to the answer please? 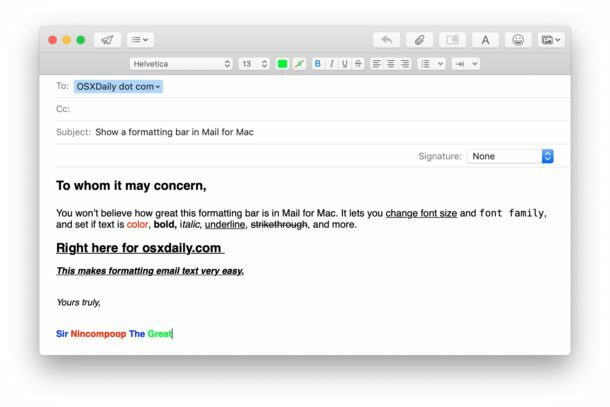 If the email recipient does not have the font installed on their system that I use in my email, will their mail program use their default or will it use the font I used?